The group of trainers and trainees at Kranevo, Bulgaria. 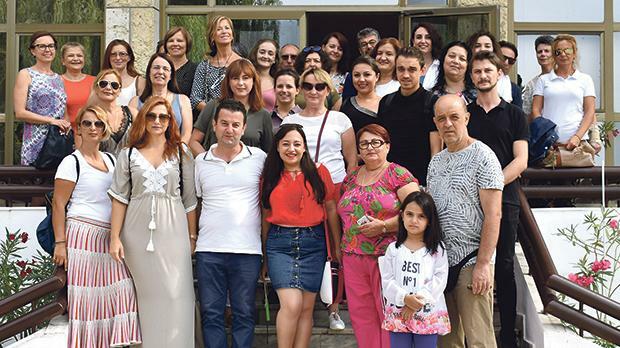 Prof. Valerie Sollars and Prof. Carmel Cefai from the University of Malta recently attended a one-week international teacher training course for early years educators in Kranevo, Bulgaria, as part of the Movup Erasmusplus project. Eunice Bonello and Christine Tanti, students on the BEd Early Years course and Ottilia Terrible on the Kindergarten Educator course were among the trainees. The training focused on the social and emotional aspects of early years education. The University’s Centre for Resilience and Socio-Emotional Health is a partner in the project. For details on the project visit the website below.